American TV personality Lauren Przybyl is a hard-working and career-oriented lady but at the same time a loving, family-oriented mom and wife. She is the epitome of the modern-day moms who have to balance work and family life equally. 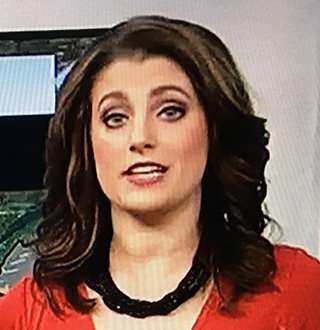 Lauren Przybyl is best known as an anchor for FOX News Network who hosts the show, Good Day. She has worked with various TV stations such as TXCN (2000), KTXS-TV, WHDH-TV and KDFW-TV (2009) in the early days of her career. She worked for popular stations like MSNBC, CNN, and The Weather Channel. She also appeared in NBC’s Today Show. Texan native Lauren Przybyl was born to parents, mother, Lin Przybyl, and father, Regan Przybyl. 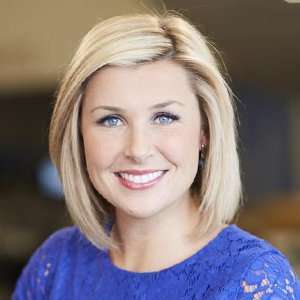 She attended Grapevine High School and majored in Journalism, Communications & Biology from Baylor University. From a young age, she was very interested in working with animals. Being an animal lover, she aimed to become a marine biologist. However, later as her professor introduced her to journalism, she shifted her focus on the news business. What Is Lauren Przybyl's Salary & Net Worth? Lauren started her journalism career as a rookie reporter and reported from a snake pit surrounded by hundreds of rattlesnakes on her first day. Since then, she has had a prospering career in the field of journalism. As a successful journalist working for a reputed news company like FOX, her average salary as a news anchor is estimated to be $63,844. However, her net worth hasn’t been revealed, but it could amount from thousands to millions of dollars. Meet Lauren Przybyl's Pediatric Sports Medicine Physician Husband! The gorgeous and successful journalist, Przybyl is not only focused on blooming her career but is also focused on raising a happy family. She has been married to her boyfriend-turned-husband, Shane Miller since 2012. Her husband is a Pediatric Sports Medicine Physician at Texas Scottish Rite Hospital Sports Medicine Center. Besides being blessed with a loving husband, she is also gifted with two wonderful kids. The happily married couple after a year of tying the knot also graced a new bundle of joy in their life in 2013. Lauren gave birth to her first child, baby girl Landry Elizabeth in April. The family of three soon turned to the family of four in the year 2016 after she gave birth to the baby boy, Beck Matthew in October. Lauren though being private about her personal information openly shares her love for her family through social media. What happened To Lauren Przybyl during Her Second Pregnancy In 2016? Lauren spends a happy life with her lovely family of four, but it didn’t come easy for her. She had to go through a lot of complications during her second pregnancy. She suffered from HELLP syndrome. This syndrome led her to a life and death situation while giving birth to her son Beck. Beck was born six weeks premature through C-section. We’re glad that he is in healthy terms now. After going through difficult times and complications, the strong Przybyl uses her platform and voice to spread awareness on the syndrome which is very difficult to diagnose. A big shout out to the strong working woman, wife, and mom Lauren Przybyl! Weather Reporter Markina Brown Still In Touch With CBS; Who Is Husband? Libby Casey Age 42 Bio: Planning Baby After Wedding With Husband? Sara Shookman Age 31 Post Wedding; Starting A Family With Husband?